With winter in full swing, painful chapped and cracking lips are seemingly par for the course, especially with the cold, dry air here in Colorado. 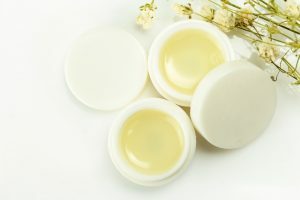 But if you find the corners of your lips feeling more chapped than the rest of your mouth, and normal lip balm does nothing to help, you could have a lesser-known skin condition called angular cheilitis, also known as angular stomatitis or perleche. Angular cheilitis is most often caused by an oral fungal infection, such as thrush. It is typically seen at the corners of the mouth, or where the mouth forms an angle, and causes painful cracking and raw redness at the site. It may hurt to open your mouth wide if you have angular cheilitis. Other causes of angular cheilitis include wearing braces, smoking, a bad bite, dry skin, vitamin B deficiency, and even sagging skin around the mouth. Thankfully, yes – but there’s no “one-size-fits-all” when it comes to this skin condition. That’s because different causes require different interventions. For example, if your angular cheilitis is caused by dry skin or braces, it may go away on its own with moisturizing. If it is fungal, you may be prescribed an antifungal medication to apply to the affected area. Important: Although the medications used to treat angular cheilitis are similar to over-the-counter antifungals, please do not try treating this condition yourself, as those medications are not meant to be ingested and applying them to your mouth is extremely dangerous. Speak to your doctor or dentist to be evaluated for angular cheilitis. Most likely a swab will be taken and sent to a lab for testing to determine the cause of your angular cheilitis. This will allow your practitioner to prescribe the most effective course of treatment. To speak to Dr. Lesko about angular cheilitis or any other oral health query, please call 970-812-0355.